We know getting the furniture you love can be pricy, but our new line of affordable chairs offers all the style, without the big price tag. This collection of budget furniture is ideal for homes and businesses alike, and proves that even on a tight budget, you can find excellent quality seating that ticks all the boxes for comfort and style. The ‘Lincoln’ and ‘Franklin’ budget furniture ranges are retro inspired, but their neutral designs make them ideal for any space. 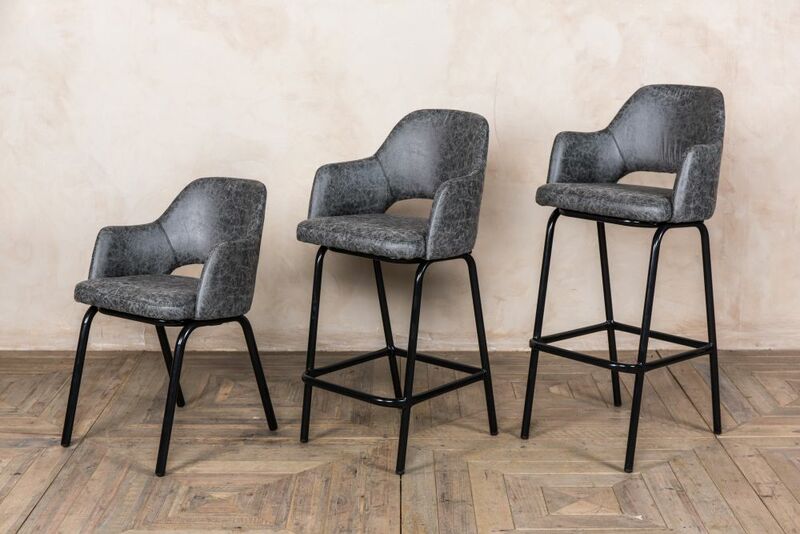 The distressed finish of the faux suede upholstery gives these affordable chairs and stools a much sought-after vintage appearance that would suit a traditional or contemporary interior. The ‘Lincoln’ seats are curved with armrests and a cut-out section to the rear, whilst the ‘Franklin’ has stunning ribbed detailing. 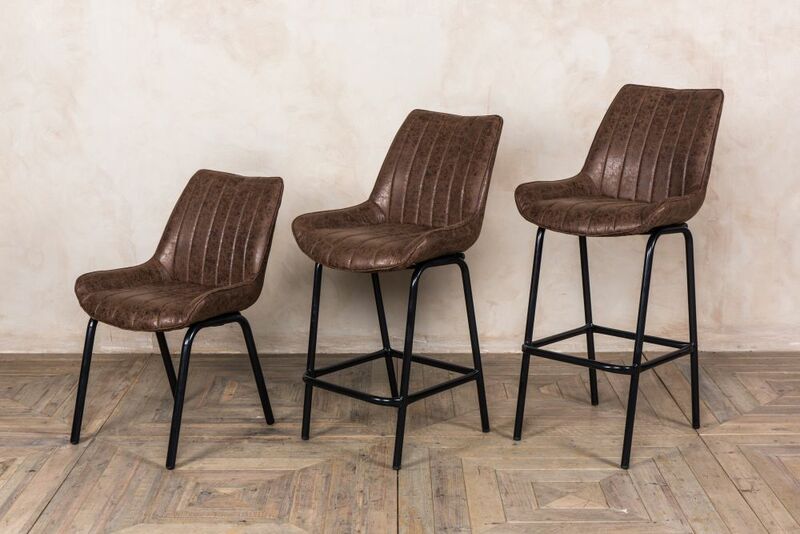 Style your cafe, restaurant, bar, or pub with the ‘Lincoln’ and ‘Franklin’ seating. As the range includes both dining chairs and bar stools, it caters to all your needs. The chairs are priced at £75.00 each (£62.50 excluding VAT) and the stools are £90.00 each (£75.00 excluding VAT). Coordinate your restaurant and bar area using the budget furniture range for a sleek, uniform look. The chairs and stools are available in grey and brown; their minimalist black legs and muted tones mean that they will coordinate easily with existing furniture. Our affordable chairs and stools aren’t limited to commercial use, either. They would look great in a Nordic themed restaurant or pub, but they would equally grace any contemporary or retro inspired dining room. Why not use them in your kitchen? We stock the bar stools in two heights; the lower stools are perfect for breakfast bars and kitchen islands. You could match your dining chairs with your breakfast bar stools or mix things up by opting for a mix of both styles or colours. It doesn’t have to stop at affordable chairs and bar stools, we also have a variety of tables at competitive prices. Check out our Design Your Own Table range; we have single pedestal tables for under £200.00! And, we have a huge selection of vintage chairs and accessories for less than £50.00. Feel free to give us a call on 01543 375872 or email sales@peppermillinteriors.com to discuss your requirements and we’ll be more than happy to help. You can also visit our showroom in Staffordshire; we’re open to the public and trade Monday to Saturday.